Fatal dog attacks on humans in the United States happen on approximately 25-35 occasions each year. Those with an interest in this topic can follow instances of dog related human fatalities in the United States by visiting Google News and searching with the appropriate keywords. In most communities in the United States, as well as abroad, a human being killed by a dog is a newsworthy event, hence all instances of dog bite fatalities are likely to be found online news sources. In addition, a number of websites track fatalities and provide statistics about dog bite fatalities. Unfortunately, one popular site uses statistics on dog bite fatalities in the United States in a misleading fashion to argue for breed-specific legislation against the pit bull Terrier. Nevertheless, it is true that pit bull type dogs are disproportionately involved in fatal dog attacks on humans, and secondarily Rottweiler type dogs and German Shepherd are the breed types most often implicated. Note, however, this statistic must be treated with caution because accurate breed identification is often questionable, particularly if it is based solely on visual identification. It also likely that a strong bias exists in the reporting of these kinds of events when a pit bull type dog supposedly is involved. Any breed of dog which is large and muscular has the capability of inflicting a dog bite fatality on a human if the circumstances allow this possibility to happen. 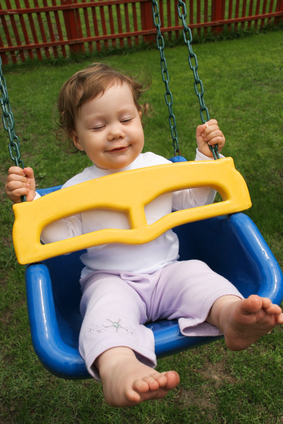 A set of circumstances that increase the risk for fatal dog attack happens when a toddler is left unattended in a swing in the presence of a supposedly, friendly “family” dog. Examples of fatalities to toddlers in this situation were first reported by a group of researchers in 2006 in the Journal of Forensic Sciences (Chu, A, Ripple,M, et.al. Fatal dog maulings associated with infant swings, 2006, 51, 403-406). 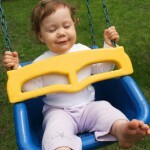 In each case, the victim was left unattended in a mobile swing. In every instance, the dog involved was supposedly “familiar” with the victim, although the degree of familiarity was not specified, nor was any information presented about the history of the dog other than the dog had reportedly never displayed aggression towards humans prior to the incident in question. In the first case, an 18-day-old infant was attacked by what was reported to be a pit bull type dog. In the second instance a 3 m.o. male was attacked by what was reported to be a Chow (possibly jointly with a daschund type dog), and in the third instance a 18-day-old infant was attacked by a Labrador x pit bull. The injuries inflicted in all cases were severe. For example, in the first instance, the victim sustained over 275 puncture wounds and fractured ribs. How can these findings be interpreted using an animal behavior perspective? What is likely happening from the perspective of the dog is that an infant moving in a swing appears as a prey object to attack. This was the explanation proffered by the authors of this report, although none of them were animal behaviorists by profession. Their interpretations were correct, however. Other instances in which a dog’s predatory tendencies have resulted in human fatality have been noted elsewhere in the animal behavior literature. For example, dogs have killed people when running together as a unrestrained “pack” in rural settings, and one unusual fatality happened when a Pomeranian jumped into the bassinet of a sleeping baby, perhaps triggered by the high pitched sounds the infant may have been making, or the squeaky sounds coming from toys the infant may have been playing with. The reader is encouraged to visit the Wikipedia website for further insights into the causes and consequences of canine aggression. Examples cited above represent occurrences of predatory aggression. This is a a well recognized type of canine aggression which can be used to explain certain kinds of problematic behaviors in companion dogs, such as chasing cars and motorcycles, or chasing and attacking people on bicycles or skateboards. Certain breeds may be more predisposed for this kind of reactivity then others,particularly herding type dogs, like Border collies or Australian shepherds. 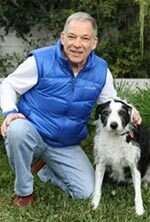 Predatory aggression in dogs towards humans can happen in any individual from any breed, but the tendency may be particularly strong in individuals with a history of chasing and killing vermin, livestock, or cats. What is interesting about predatory behavior in dogs, is that a dog’s motivation to engage in this kind of behavior does not appear to be entirely dependent on its level of hunger, although hunger is likely to have some causal influence.